Since I was a kid, I have always been active. In high school my activities however were hampered by hip and back pain which started my journey of yoga. Through this journey I developed a heart for bringing yoga to people of all ages and all abilities. I have been leading yoga classes since 2001 and leading yoga training from Holy Yoga Global, LLC since 2008. My own body and its injuries over the years has created my passion for alignment, healthy feet and proper core strength. 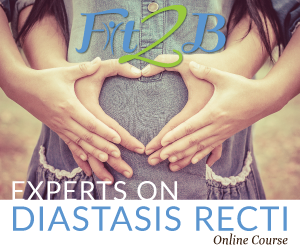 After the birth of my twins in 2011, I learned about my own diastasis recti which altered how I moved and taught yoga. At this time, I also found Nutritious Movement and fell in LOVE with movement. I can be found teaching movement classes in the Somerset, WI area and leading yoga trainings through Holy Yoga Global, LLC. Not only did high school start my journey with yoga and movement but it also started my journey of marriage and love. My senior year book voted that Michael Mroz and I were the most likely to get married. After dating through high school, college, a shocking break-up, and a difficult reconciliation, that is exactly what we did—we got married! One of the most pivotal aspects of our relationship was pre-marital mentoring/counseling. We always said that at some point, we would invest in marriages just like the couple who invested in our future marriage. Michael & I believe that tie is NOW! While I am the voice of marriage on my blog and on social media, it is really the voice of both of us as we strive to inspire thriving marriages. We lived for years in a marriage that was just surviving and we want to help couple move from surviving to thriving! Michael & I can be found dating each other weekly as we inspiring thriving marriages and raise our 4 children. Interested in working one-on-one? Interested in having Christina speak at your retreat or conference? Drop her a message below and she will get back to you shortly.